In this paper, an event-triggered communication strategy and a distributed filtering scheme are designed for discrete-time nonlinear stochastic systems over wireless sensor networks (WSNs). The underlying system is represented by the Takagi-Sugeno (T-S) fuzzy model, and in addition by the description of the WSN under consideration. The structure of the WSN is established on a deterministic one. Based on an event-triggering condition tailored for each sensor, distributed fuzzy filters are established using the triggered measurements of the smart sensors. As a result, an augmented stochastic system is presented for the distributed filtering design. A robust mean-square asymptotic stability criterion is explored using the Lyapunov stability theory and the Disk stability constraint is applied to improve the performance of the distributed filters. An optimization solution to obtaining the parameters of the distributed filters is developed. Subsequently, a computer-simulated example helps to illustrate the validity of the proposed new filtering design techniques. Recommended by Associate Editor Yang Tang under the direction of Editor Hamid Reza Karimi. This paper is supported in part by the National Natural Science Foundation of China (Grant No.61525303, 61673130, 61773131 and U1509217), the Top-Notch Young Talents Program of China (Ligang Wu), the Self-Planned Task of State Key Laboratory of Robotics and System (HIT) (SKLRS201806B), and the Australian Research Council (Grant No. DP170102644). Zhongrui Hu received his B.E. degree in Automation and his M.E. degree in Control theory and Engineering, from Northeast Petroleum University, China in 2010 and 2013, respectively. Currently he is a PhD candidate from the Harbin Institute of Technology, Harbin, China. From 2015 to 2017, he was a joint research student with the School of Electrical and Electronic Engineering, The University of Adelaide, Adelaide, Australia. His research interests include fuzzy control, adaptive control, and event-based networked systems. Peng Shi received the PhD degree in Electrical Engineering from the University of Newcastle, Australia in 1994; the PhD degree in Mathematics from the University of South Australia in 1998. He was awarded the Doctor of Science degree from the University of Glamorgan, Wales in 2006; and the Doctor of Engineering degree from the University of Adelaide, Australia in 2015. He is now a professor at the University of Adelaide. His research interests include system and control theory, computational intelligence, and operational research. He received the Andrew Sage Best Transactions Paper Award from IEEE SMC Society in 2016, and was a Runner-Up of the SCOPUS Researcher of the Year in 2017 (Australia and New Zealand). He has served on the editorial board of a number of journals, including Automatica, IEEE Transactions on Automatic Control; IEEE Transactions on Cybernetics; IEEE Transactions on Circuits and Systems; IEEE Transactions on Fuzzy Systems; and IEEE Control Systems Letters. He is now a Board of Governors Member, IEEE SMC Society, and served as an IEEE Distinguished Lecturer; and Chair of Control Aerospace and Electronic Systems Chapter, IEEE South Australia Section. He is a Fellow of the IEEE, the Institution of Engineering and Technology, and Institute of Engineering Australia. Ligang Wu received the Ph.D. degree in Control Theory and Control Engineering from Harbin Institute of Technology, China in 2006. From January 2006 to April 2007, he was a Research Associate in the Department of Mechanical Engineering, The University of Hong Kong, Hong Kong. From September 2007 to June 2008, he was a Senior Research Associate in the Department of Mathematics, City University of Hong Kong. From December 2012 to December 2013, he was a Research Associate in the Department of Electrical and Electronic Engineering, Imperial College London, UK. In 2008, he joined the Harbin Institute of Technology, China, as an Associate Professor, and was promoted to a Full Professor in 2012. Dr. Wu was the winner of the National Science Fund for Distinguished Young Scholars in 2015, and received China Young Five Four Medal in 2016. He was named as the Distinguished Professor of Yangtze River Scholar in 2017, and was named as the Highly Cited Researcher in 2015, 2016 and 2017. 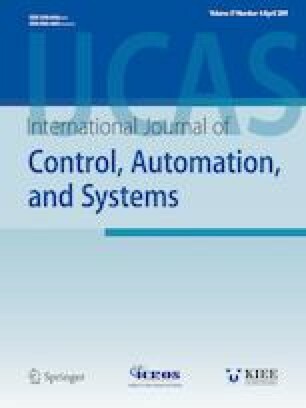 Dr. Wu currently serves as an Associate Editor for a number of journals, including IEEE Transactions on Automatic Control, IEEE/ASME Transactions on Mechatronics, Information Sciences, Signal Processing, and IET Control Theory and Applications. He is also an Associate Editor for the Conference Editorial Board, IEEE Control Systems Society. Dr. Wu has published 6 research monographs and more than 150 research papers in international referred journals. His current research interests include switched systems, stochastic systems, computational and intelligent systems, multidimensional systems, sliding mode control, and flight control. Choon Ki Ahn received the Ph.D. degree in electrical engineering from the School of Electrical Engineering and Computer Science, Seoul National University, Seoul, in 2006. He is currently a Crimson Professor of Excellence with the College of Engineering and a Professor with the School of Electrical Engineering, Korea University. His current research interests are control, filtering, two-dimensional system theory, fuzzy systems, neural networks, and nonlinear dynamics. Dr. Ahn was a recipient of the Early Career Research Award and the Excellent Research Achievement Award of Korea University in 2015 and 2016, respectively, and the Presidential Young Scientist Award of Korea, in 2017. In 2017, his two papers were ranked in Most Cited Articles published in the last five years for the IEEE Transactions on Circuits and Systems II: Express Briefs. In 2016, he was ranked #1 in Electrical/Electronic Engineering and #2 in entire areas of Engineering among Korean Young Professors based on paper quality. He has been on the Editorial Board of international journals, including the IEEE Systems, Man, and Cybernetics Magazine; IEEE Transactions on Neural Networks and Learning Systems; IEEE Transactions on Fuzzy Systems; IEEE Transactions on Systems, Man, and Cybernetics: Systems; IEEE Transactions on Automation Science and Engineering; IEEE Systems Journal.